Petey and Pauley found their way to FAF after they were rescued by our furriends from Kamp K9! The brother and sister duo were both born without front legs, but don't worry, it doesn't stop them! Currently, we are working with the Iolani Engineer club to make them each a mobility device. Any donations are greatly appreciated and will be put to good use! They have found a way to get around for now, but we can’t wait to see how happy they will be once they can move around more freely! If you are interested in adopting Petey and Pauley, please fill out the Adoption Interest form today! 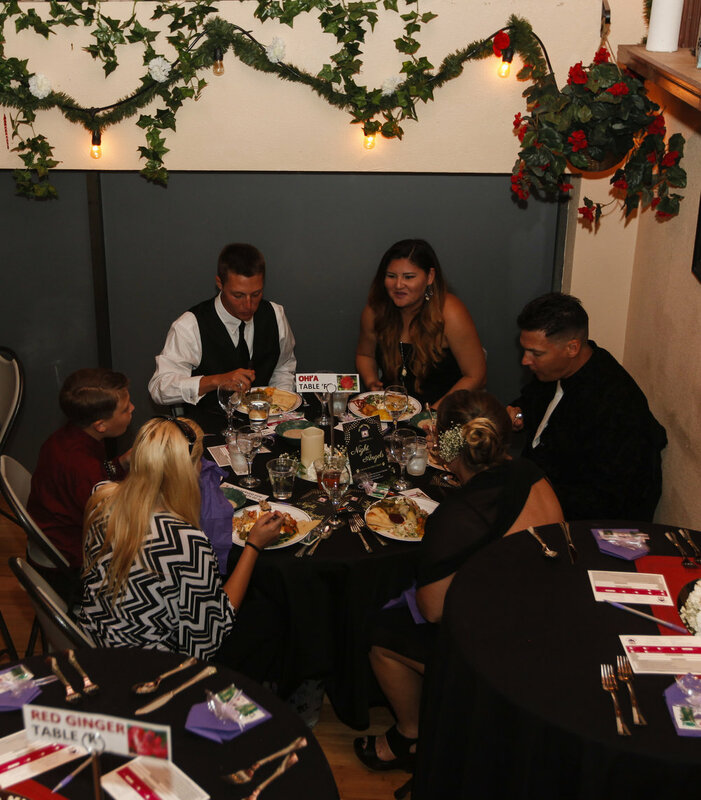 5 Of Our Favorite Things About FAF’s 2nd Annual Fundraiser! 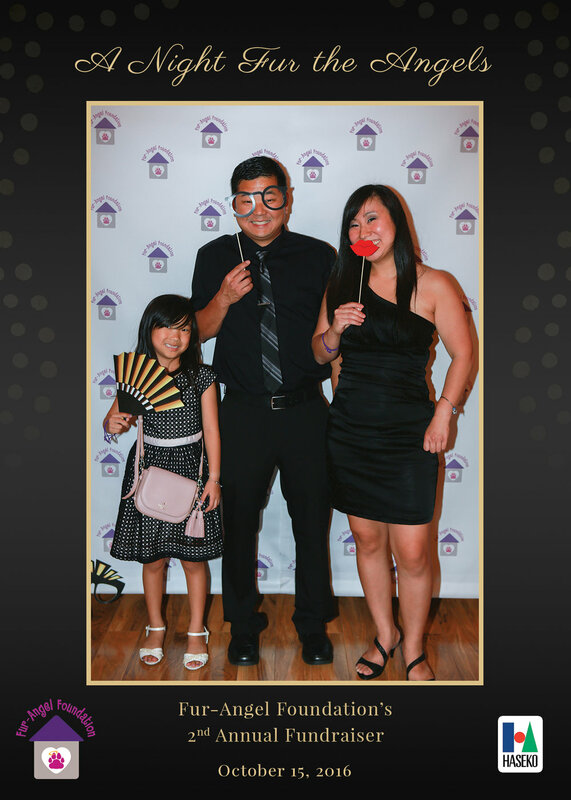 A fundraiser like “A Night Fur the Angels: A Black and White Pawrty” could not have taken place without the generous donations and support of our sponsors, Haseko Development Company and the Shioi Ohana! Your generosity helps FAF accomplish our mission of finding homeless pups loving furever families! Our donors really went above and beyond this year and donated some pawsome items and services for our silent auction and raffle! FAF can’t function without the help of dog-loving community members and businesses and there was no shortage of support this year’s fundraiser! We are overjoyed with how many donors helped out! A big PAWhalo to you all! The entertainment of the night could not have been any better! Al Waterson was our pawsome MC and kept the evening in high spirits with his witty remarks and humorous jokes! The evening featured fantastic performances by two of Hawaii's own Na Hoku Hanohano award winners, Lei Melket and Hoku Zuttermeister, Hawaii's First "American Idol" Finalist, Jordan Segundo, and 2016 Merrie Monarch competitors, Halau Hula Ka Lehua Tuahine! There was never a dull moment the entire evening thanks to such talented entertainers! The silent auction was a HUGE success and we sold all 35 items that were donated! We are beyond excited and thankful for how generously and eagerly our guests were to purchase items such as clothing, jewelry, dog treats and toys, a round of golf and so much more! The silent auction raised over $1,500, all of which will go directly to the dogs at FAF to help fund the process of finding their fur-ever homes! They say you save the best for last, and that could not be any truer! Without the attendance of such friendly, supportive and like-minded individuals, this event literally would not have happened. It was such fun and a real honor to spend the evening with fellow pet lovers who have the same passion for animals as all of us here at FAF. 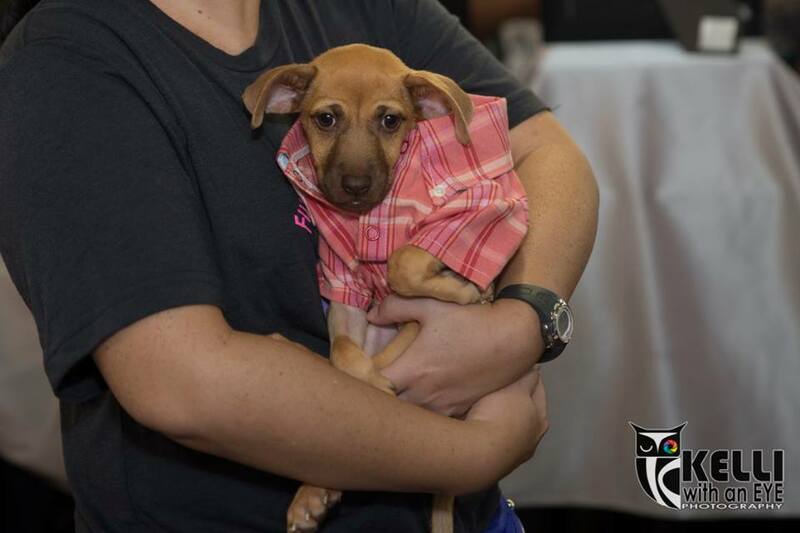 Each person made the evening so special and we could not thank you enough for supporting FAF’s mission and goals, and more importantly, for supporting Oahu’s homeless pets, whom need every bit of love and help they can get. Thanks to your attendance, we are one step closer to finding FAF pups their fur-ever homes! FAF would like to extend our biggest PAWhalos to all of our sponsors, donors, entertainers, guests and the staff at Medici’s for helping make our 2nd annual fundraiser a huge success! And a BIG thanks to all our volunteers for helping everything go as smoothly as it did throughout the evening! We look forward to seeing you all next year! UPCOMING EVENTS: FAF Annual Fundraiser! Join us for Fur-Angel Foundation's 2nd Annual Fundraiser "A Night Fur The Angels: A Black and White Pawrty" on October 15! The pawrty begins at 6 p.m. and will be located at Medici’s at Manoa Market Place. We will have door prizes, a silent auction, LIVE entertainment, dinner, and more! Tickets are $85 and can be purchased online at faf2016.eventbrite.com. Event attire is semi-formal. Become a sponsor and enjoy the evening in VIP style with a bottle of champagne at your table! VIP admission permits up to six guests. We are also accepting items for the silent auction! FAF merchandise will be available for purchase as well! 100% of all proceeds go towards helping home our furry friends! All donations are tax-deductible. If you are interested in being a sponsor or would like to donate a silent auction item, please contact FAF at info@furangelfoundation.org. For more information, like us on Facebook at www.facebook.com/Fur.Angel.Foundation or visit www.furangelfoundation.org! Public parking is available in the Manoa Marketplace parking lot. Will there be dogs at this event? Sadly, no. Our pups get the night off! SUCCESS AT THE HAWAII WOMEN’S EXPO! 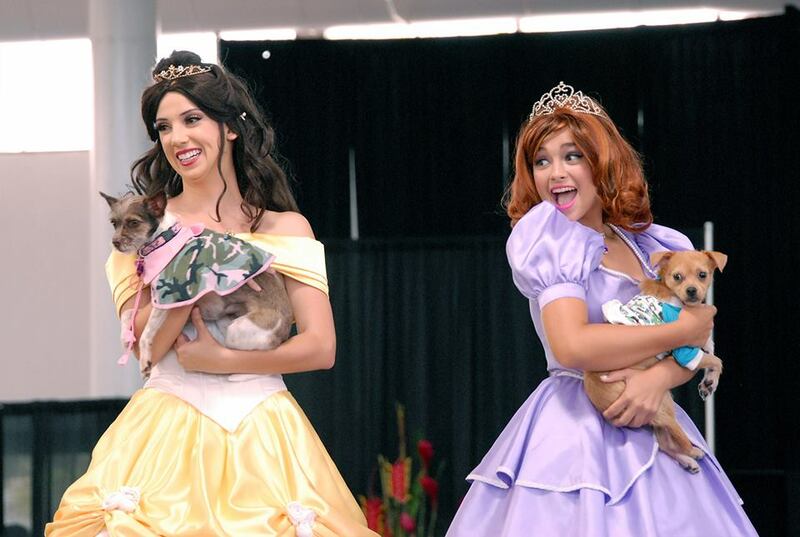 Wow, what a paw-some weekend it was at the Hawaii Women’s Expo! 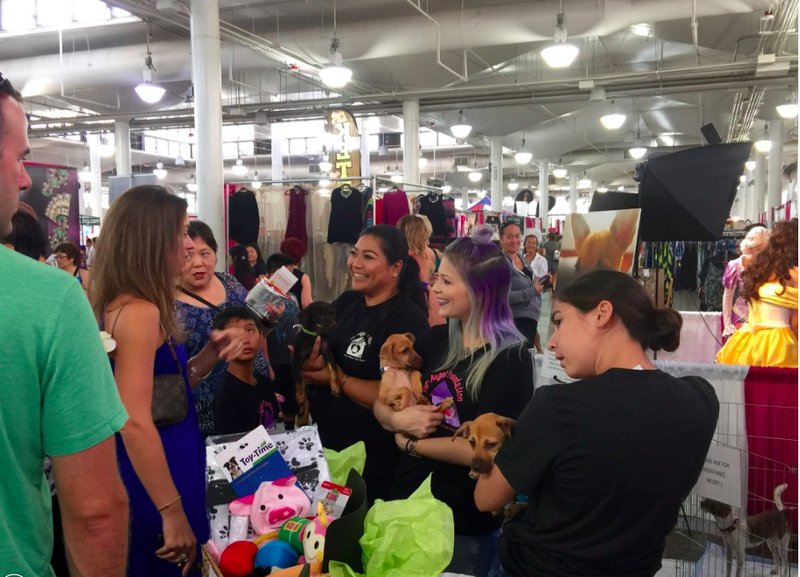 We had the opportunity to meet so many fellow dog lovers, and were able to educate others on who FAF is, what our mission is and how they can help achieve that mission! Thanks to the amazing support of you all, we raised $1,030 that will directly go to helping ensure our furry friends are healthy and happy until they find their forever homes! Our puppies were adorable as ever, and really seemed to make an impression on some families, as we have received numerous adoption inquiries! 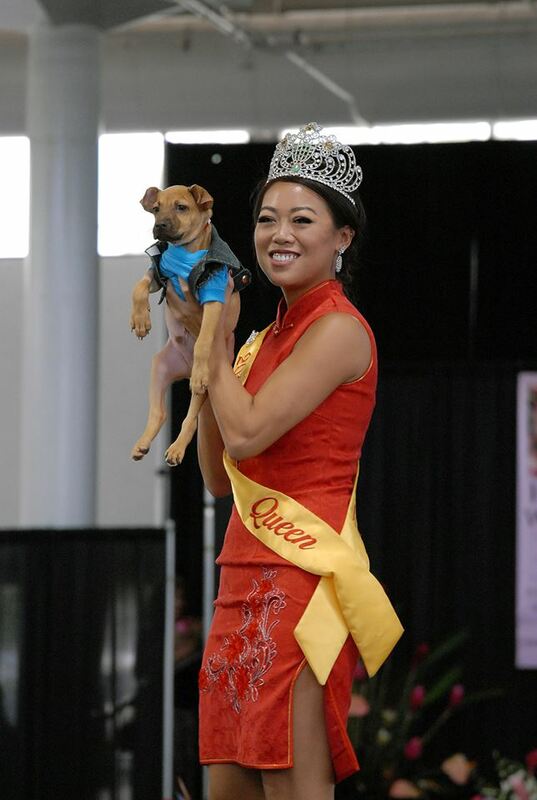 All of us here at FAF would like to give a special thanks to Nancy Bernal, Al Waterson and You Productions, Lani and Haute Creatures Photography, Ron Darby & Denby Dung of The Pet Hui, Jordan Segundo, all the participants in the fashion show, and the Hawaii Woman Expo for having us! And a BIG thanks to all our volunteers for helping everything go as smoothly as it did throughout the weekend! If you are interested in adopting, volunteering or becoming a foster parent, please visit www.furangelfoundation.org and like us on Facebook at www.facebook.com/Fur.Angel.Foundation. There are so many ways to be a part of our mission and be a true FUR-ANGEL! FAF runs solely through our trusted network of foster families so that our dogs get to experience a real home environment. This prepares them for adoption by equipping them with the necessary skills they’ll need post-adoption. Please consider joining our foster team so we can continue helping our fur-friends in need. Your help is fur-ever appreciated! Celebrities and Their Pets Fashion Show! Mark your calendars! 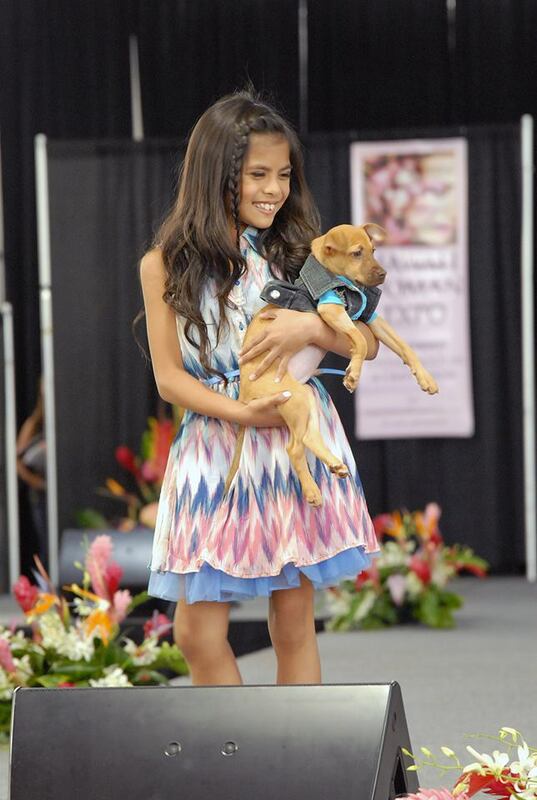 We will be at the Hawaii Women’s Expo participating in the Celebrities and Their Pets Fashion Show Sept 10 & 11 at the Blaisdell Center! We will have adoptable dogs in the Fashion Show who are looking for their fur-ever homes that you can meet at our booth! The Fashion Show will start at 12:30 on both Saturday and Sunday. Come out a join us for a fur-filled time! All questions and inquiries can be handled on our website. We are in the midst of the warmest, most humid days the island has seen to date! While many are turning on the fans and air conditioners, many fail to realize that dogs are also dealing with the scorching heat, all while wearing a permanent fur coat. Both you and your dog can keep cool this summer with these simple, easy tips! Staying cool is always a priority for our furry-friends! According to the ASPCA, a car can heat up to 114 degree in 80 degree weather in less than half an hour! Unfortunately, too many dogs suffer from heat stroke and even death due to being left in an overheated car. It is much safer to leave your pal at home, with a friend, or at doggy day care, especially if you anticipate leaving them unattended. If you come across a situation like this, please get help immediately! You could save a life. As much as our pets love to take walks, be aware of extra hot, humid days. It is great to exercise your dog, but engaging in a lower intensity activity may be just what they need to keep safe. Consider exercising your furry friend during cool hours of the day, such as early mornings or evenings. This will help alleviate the possibility of burning your pet’s paws from the hot pavement or asphalt. Instead, take a walk or run on grass, which is a cooler alternative. Your pup will thank you! Heatstroke: Is your dog at risk? If the harsh summer heat gets the best of your dog, they can suffer from heatstroke. Some symptoms of heatstroke include heavy panting, heavy salivation, vomiting, dizziness, darkened tongue, lethargy, and rapid heartbeat. Dogs are most at risk of falling victim to heatstroke when they are very old or very young, unaccustomed to intense exercise, are overweight, or suffer from respiratory problems. If your dog suffers from a heatstroke, immediately place your dog in a cool, air conditioned or shaded area. Gently applying a cold towel or ice packs on your dog can help bring temperatures down, along with drinking small amounts of water. If you believe your dog has suffered a heatstroke, you should take them to a local veterinarian as soon as possible. Heatstroke can be avoided altogether by ensuring your pet is placed in a cool, shady area, making sure they are properly hydrated, and limiting their activity so that they are not overworked. Submit Your FAF Adoption Stories, Today! We want to hear your FAF adoption stories! Follow the link below to share how your fur-babies have grown, or some of your favorite moments with them! We love hearing how well the pups are after they have found their fur-ever home! The form only takes a couple of minutes! Want to do something great for your community, but can’t find the time to help with an already busy schedule? Consider donating unopened containers of food, toys, supplies or even a few dollars to help change the life of a deserving, local pup! Here at FAF, we cannot do it alone. It truly does take a village of passionate and dedicated community members to help rescue Oahu’s fur-riends in need! Please consider making a tax-deductible donation and be a Fur-Angel today! Come Clean your Dirty Paws for a Good Cause! Join us at The Pet Depot on Aug. 14 from 10 am-2 pm for our Dog Wash with the help of our friends at Tails of Hawaii! It’s for a good cause and it'll make your pup feel and smell great! We will also have our FAF shirts, Cookie Corner cookies, and Macy's Make a Difference Day fundraisers! So even if you don't have a dog, you can still come by and get yourself a treat! For more information, head over to our Facebook page or Instagram! Our pals at Animal Communicators Hawaii will also be there offering sessions with your pup! Check out their Facebook and Instagram for more info! Aloha, Cash! Welcome to the Fur-Angel Family! I’m currently a high school student, working as an intern and contributing writer for the Fur-Angel Foundation. As I’m nearing graduation, I felt the need to find something to volunteer for; a cause that I could learn more about and feel good about by contributing to. I’ve also had a fond love for writing for as long as I can remember, and I wanted to put that to great use in something I can be passionate for. Admittedly, I’ve always owned at least two or three cats my whole life, but by now my bias had definitely been broken after being introduced to the site, and my newfound adulation was discovered. The idea of helping an animal in need and spreading the word with actual useful information is what initially appealed to me. The volunteer hours/contributions benefiting me and my “brag sheet” are one thing, but having a hand in actually helping “man’s best friend” achieve some form prosperity outweighs practically anything else. I’m motivated by the mere ideology that dogs deserve to be treated, at the very least, fairly. Seeing a dog starving out on the street, lonely and scared, pains me and I’d like to do whatever I can to help. What FAF does exceptionally well is bestowing countless dogs in need of a chance to grow in a loving home with selfless owners, and I’m filled with exuberance knowing I can be apart of that. I’m definitely excited to see how the site will evolve and grow from here! 2015 Was a Busy Year for Fur-Angel Foundation! We had an amazing 2015 and are excited to start a new year! 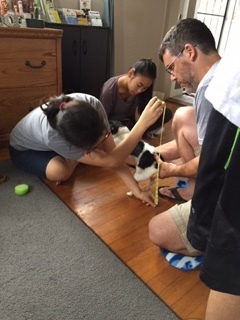 To date, FAF has rescued and vaccinated 90 dogs, spayed and neutered 57, and had the privilege of working with numerous families on fostering or adopting a FAF pup. Through the year we had some amazing opportunities to work in the community. 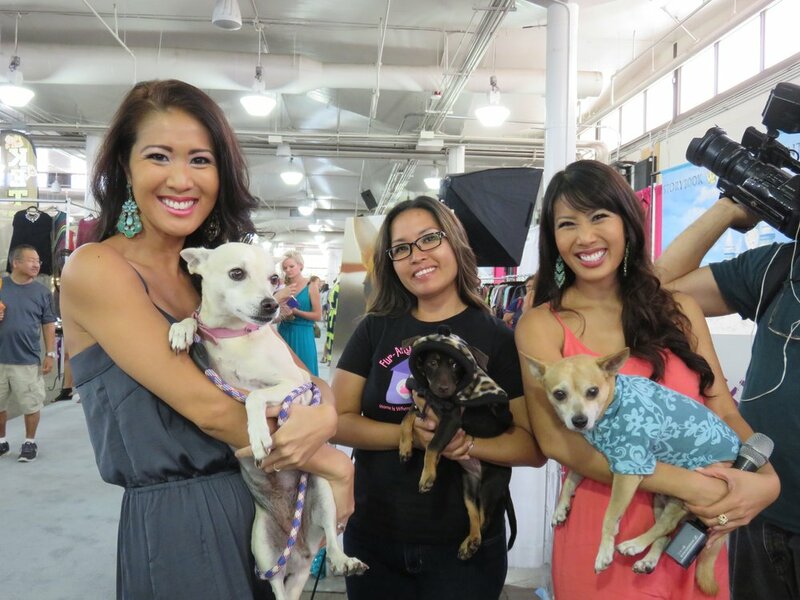 It was so much fun to be on KHON 2 news to promote our participation in the Hawaii Woman’s Expo, as well as to be featured on the Pet Hui on OC 16 to showcase some of our available dogs. This past holiday season we were also very overwhelmed by the support shown to us through our Christmas Giving Trees stationed at various locations to raise money for our dogs. Our dogs made an appearance at the Ward Warehouse Santa Paws event hosted by the Pet Corner to bring awareness to adoption, and then ended the year by joining our friends from the Pacific Pooch Hui in the Manoa Christmas Parade! It was so much fun to meet our new FAF friends! With the new year at full steam ahead, we look forward to all of the wonderful things yet to come. For 2016 our goal is to help more pups and people through fostering, adoption, and outreach. There are so many dogs still in need of rescue and so many families looking for their new BFF! We are dedicated to helping both in our mission to strengthen the human-animal bond in our community. There are so many ways to be a part of our mission and be a true FUR-ANGEL! From making a tax-deductible donation through our website, to a quick share via your social media page, your support is greatly appreciated! FAF runs solely through our trusted network of foster families so that our dogs get to experience a real home environment. This prepares them for adoption by equipping them with the necessary skills they’ll need post-adoption. Please consider joining our foster team so we can continue helping our fur-friends in need. As always, we appreciate your love and support! Please share your experience and “RATE US” on our Facebook page! MAHALO from all the pups and people at FAF!